With an influx of charcoal and carbon based products launching, the sooty black stuff we use to fuel our summer barbecues has become the latest craze for the beauty scene. Why? 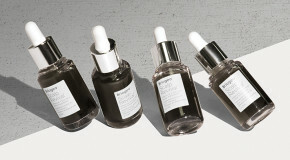 The buzzword ingredient has the ability to withdraw impurities, chemicals, dirt, and oil from the pores of your skin with much more efficacy than your standard skincare products ever could. And why stop at facial skincare? 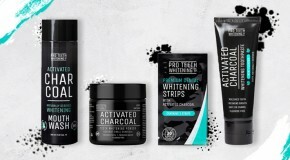 Charcoal can now be found in everything from body scrubs to toothpastes, too – due to its ability to absorb a hundred times its own weight in dirt and grime. 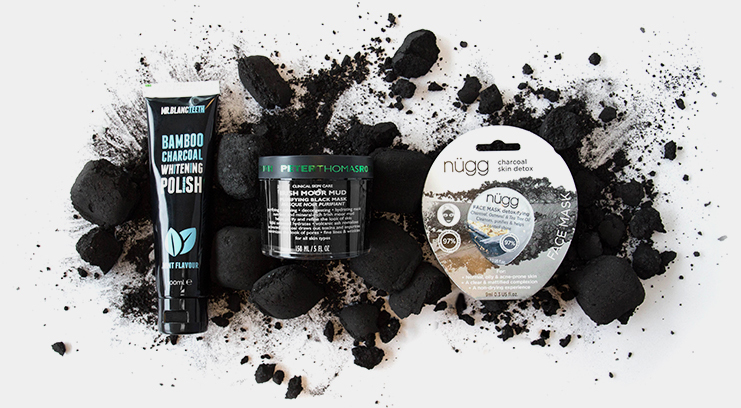 It might be the latest beauty buzzword, but charcoal has been used medicinally for centuries due to its powerful ability to remove toxins and bacteria from the body – both internally and topically. The modern spin (and unique selling point that makes this trend worth embracing) is that this is no ordinary charcoal. Known as ‘activated’ charcoal, regular charcoal is heated up to the point where it expands and becomes more porous. This process gives it a negative charge which improves its ability to trap toxins and gases and purge them from your body when absorbed, and on a surface level acts like a magnet to attract and absorb dirt and oil. Never one to let a skincare fad pass me by, I’ve spent the past few weeks exploring the world of charcoal-infused beauty products in order to find the ones that really work. If you think you’ve tried every tooth-whitening product on the market, think again. A black toothpaste takes some getting used to – aren’t we trying to lighten teeth? 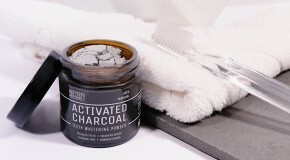 But a few brushings with this blend of activated charcoal and menthol will make you (and your newly brilliantly white teeth) total believers. Mr Blanc’s Bamboo Charcoal Tooth Whitening Polish will turn your mouth black as you use it, but in doing so it works to remove surface stains left by tea, wine, and coffee, balances the pH of the mouth (helping to prevent cavities and decay) and puts an end to bad breath by preventing bacteria from growing. When applied topically, charcoal absorbs toxins (making it particularly effective if you live in a city – where skin is constantly bombarded with pollutants) and preps the skin for the absorption of products. But whilst it’s renowned for its purification properties, charcoal needs to come into contact with impurities to soak them up, so the longer a product sits on your skin, the better. For that reason, the most effective way to give your skin its charcoal fix is with a mask. 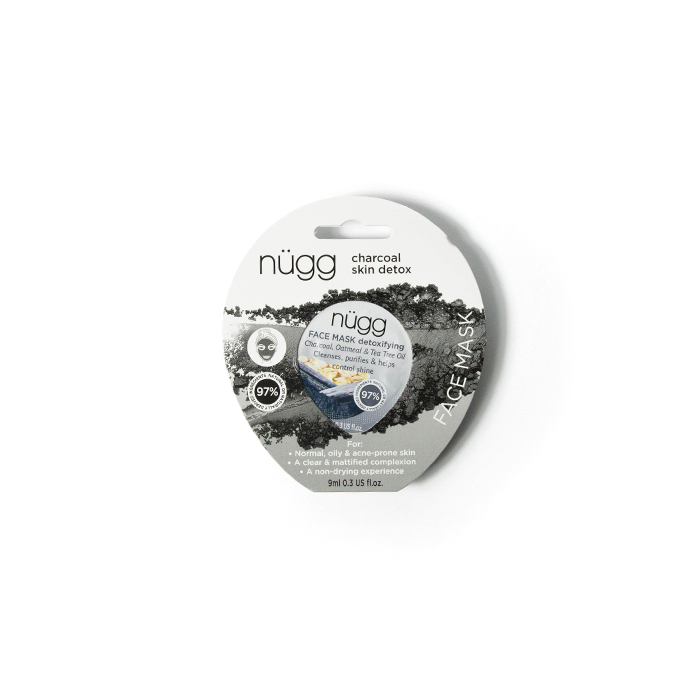 Nugg’s Charcoal Face Mask works brilliantly as a first-step – the potent combination of charcoal and kaolin clay works to extract impurities and quell existing blemishes, resulting in a smooth, toned, and insanely soft complexion. Charcoal is the saving grace of exposed and enlarged pores. Those little black dots you’ll often find scattered over your nose and forehead are caused when skin pigment, sebum, and dirt build up in open pores, oxidise, and turn black, creating what’s known as a blackhead. Charcoal acts like a magnet for dirt, grime, and oil – absorbing and extracting this visible buildup – like a gentler alternative to blackhead strips. 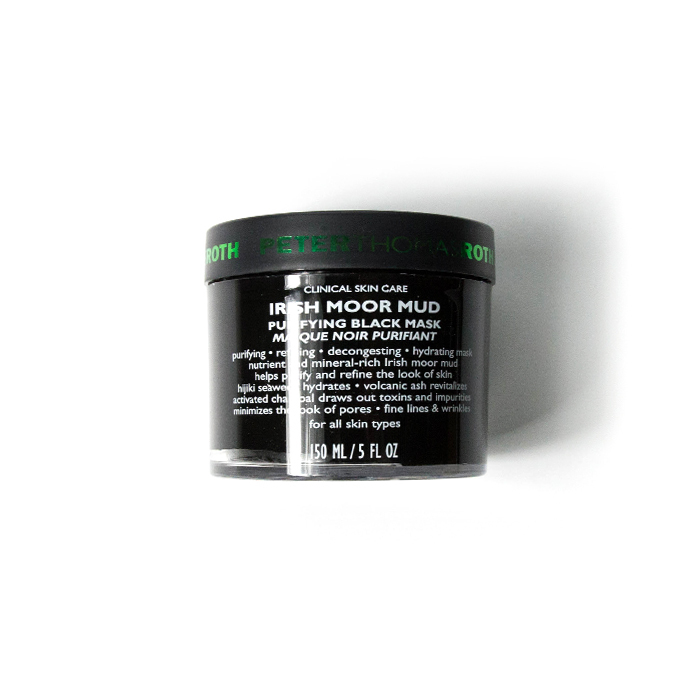 Peter Thomas Roth has a cult following among in-the-know beauty junkies thanks to its high performance masks – and their Irish Moor Mud Mask is a clear example as to why. It combines activated charcoal with lactic acid (a super effective chemical exfoliant) to leave your skin looking airbrushed. A lot of masks promise to visibly transform skin ion one use, but this one seriously lives up to its claims – there’s nothing else that clears out my pores so effectively. Charcoal has antibacterial, anti-fungal, and anti-viral properties, extracting these organisms in the same way it withdraws and eliminates toxins. Whilst I wouldn’t normally advocate the use of face wipes for an efficient cleanse, Yes To’s Charcoal Wipes lift dirt, toxins, and makeup way more effectively than your standard face wipes – making them ideal for post-gym face-washing or cleansing in a pinch. Yes, there’s something a little weird about using black face wipes, but these are so so worth it. Charcoal powder’s grainy texture makes it an amazing exfoliating agent. 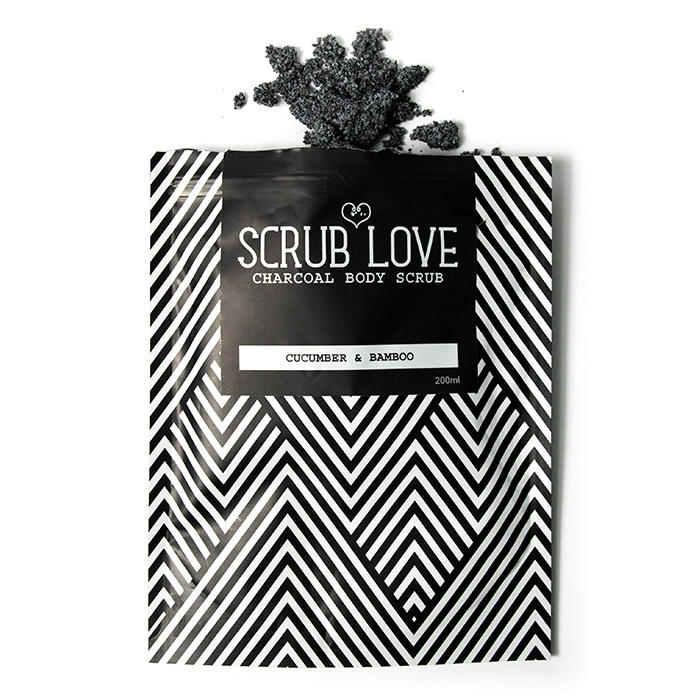 Scrub Love’s Active Charcoal Body Scrub with Cucumber & Bamboo may leave your shower looking a little sooty, but it’s totally worth it for what it does to your skin. Combining the known benefits of activated charcoal with the detoxing qualities of kaolin clay, whilst ground bamboo buffs away dirt and grime, and cucumber oil provides a therapeutic hit – simultaneously smoothing and deodorising your body. What’s more, the mix also contains kaolin clay. It is quite abrasive, so if you have sensitive skin, resist the urge to use it more than a couple of times a week. 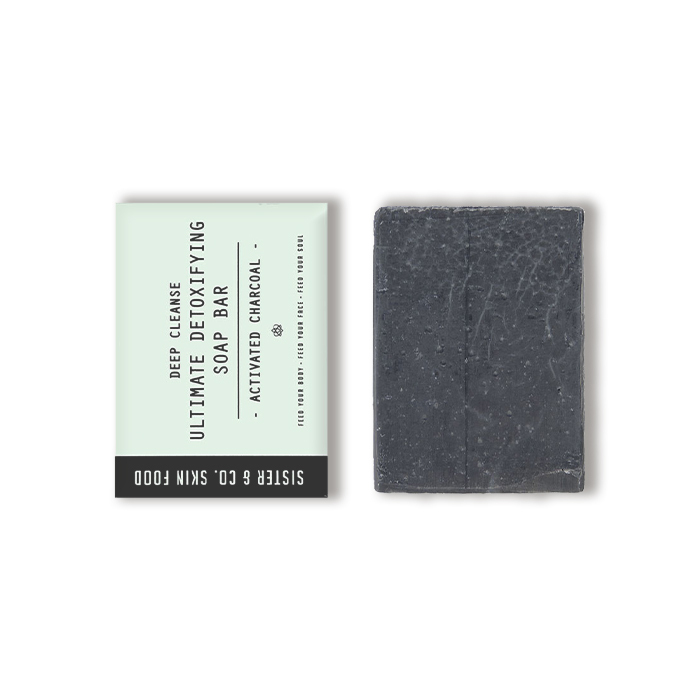 Sister & Co Activated Charcoal Ultimate Detoxifying Soap Bar lathers into a creamy substance that combines activated charcoal with olive, almond, castor, and coconut oils to deeply cleanse pores on both face and body. While the charcoal works to get rid of the nasty stuff and balance sebum production, the natural oils (and shea butter) provide nourishment to your skin. It’s particularly beneficial if you suffer from persistent spots on your back, providing a mild way to get rid of acne without stripping your skin of moisture.